Economical and easy-to-ride big twin on road or trail, only held back by the staid image. • Yes it’s 209kg wet (claimed) but like they say of a GS12, it carries it well. 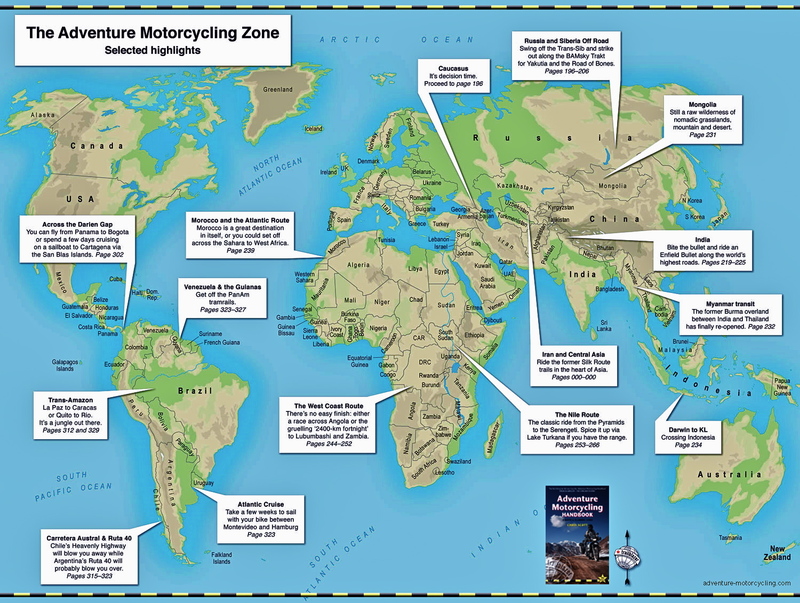 A few years ago I rode a brand new F650GS SE down to Morocco, covering around 4000 miles while updating my guidebook. The ‘SE’ was a fully accessorised and snazzed-up version of the regular 650, just before that model got renamed the ‘700GS’ to help differentiate it from the 650GS single which had long caused confusion. 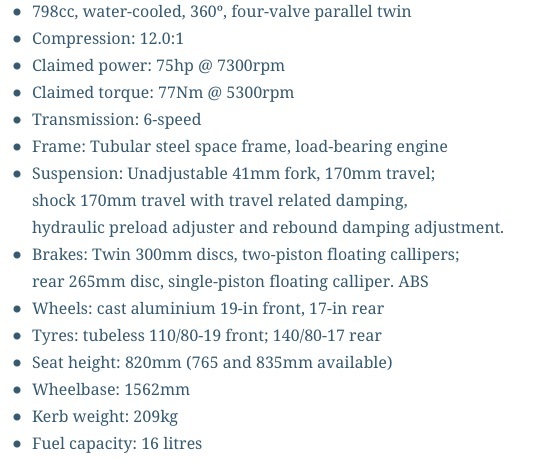 Six fifty or ‘700’, the actual engine is a detuned 798cc as used in the pricier and flashier F800GS. These parallel twins were launched in 2008 with an Austrian-made motor, soon followed by a well-documented slew of teething problems. The popular 800s were finally replaced in 2018 with the F750/850GS. The motor is now made in China but final assembly remains in Germany. I reckoned that for most, the 650 twin made a much better travel bike over the 800. It was lower, more economical, more torquey and has tubeless tyres and a 19-inch front wheel, while still having great suspension and more than enough grunt to get the job done. After a week on a bike with over 110,000 rental kms on the clock, I feel the same about the 700 for all the same reasons. I’d take this bike over an 800 any day, not that that’s stopped them being far more popular travel bikes. Image is a big part of the adventure and, hampered by its ‘entry-level’ stigma, the 700 looks boring alongside an 800GS. Guiding a group of 250s and 310s, I wasn’t pushing the 700’s limits on the road. Most of the time the throttle was barely open, resulting in fuel consumption in the low 80s mpg (68 US; 3.4 l/100km; 29kpl). I know I’ve been going on about 270-degree parallel twins lately, but the 360°-cranked 700 – cunningly acoustically tuned to replicate the sound of a GS12 – was easy to ride on the road or the dirt. I never had reason to go over 120kph for long, but I’m sure it would make a great road tourer once you sorted out the seat and fitted a worthwhile screen. Back in 2012, the 650 was an effortless ride back to the UK across Spain. The bike I was using was fitted with a low seat and had picked up a few minor faults over the years: the ABS didn’t work and neither did the gear indicator on the dash. Out of Marrakech there was a bit of misfiring, possibly because the throttle was barely open. It cleared up and never came back. But it came with a centre stand and the heated grips still worked. The tyres were plain old Anakees which slipped a little across road-surface gravel and held me back from swinging around too freely on the dirt, but as long as things stayed dry they were as predictable, as other bikes used out here with road tyres. Like the 650 I found the 700 a hard bike to turn on dirt switchbacks due, I think, to a combination of long wheelbase and low centre of gravity, where leaning the bike has less effect on shifting the CoG. At any other time I appreciated the long, low-slung bike; it helped the bike track straight in soft sand – again as I recall from the 650. The 700 supposedly had less torque and more power than the 650 I used, but I felt little difference. It’s still a great motor for my sort of backroads- and easy trail riding. First gear was too high off course (I specifically got my 650 cogged down a tooth on the front) but the low-rpm grunt of the engine and smooth hydraulic clutch made feeding in the power easy at just over walking pace. It was never uncontrollable unless you wanted a bit of wheelspin. I doubt I was ever using half of the available horsepower but it’s good to know there’s plenty there for a long ride home. The suspension is nothing flash up front: an unadjustable fork, but the spring rate and damping seemed just right on the roads and the pistes. It goes to prove you can make a plain fork effective out of the crate without needing to offer expensive adjustments. Same with the back, although this bike had an Ohlins with a HPA, but who knows how old it was and what it’s been through. I never felt the need to adjust the preload, easy though it would’ve been. Occasionally both ends bottomed out which shows the full range of travel was being used. I really did marvel at how this unprepossessing old tug managed the rough pistes – better than my Rally Raid CB500X and last year’s XSR700 Scrambler. The low seat – probably under 800mm – was as bad as the 650’s, if not worse, due to scant padding, but standing up wasn’t noticeably hard and it certainly eased getting on and off. I can’t say there was any intrusive vibration through the worn-out grips or pegs and although there was no screen, I never sustained high enough specs to make that a issue either. After a week and 1100 clicks on the rental-ravaged 700GS I found myself on ebay looking used prices. I have to admit that engine, suspension and comfort the 700 felt as good if not better than my similar XSR700 and a lot more gratifying to ride than the CB-X. This entry was posted in AMH News, Project Bikes. Bookmark the permalink.